The Custodian of the Two Holy Mosques King Salman bin Abdulaziz Al Saud received a message from President Adama Barrow of Republic of Gambia. 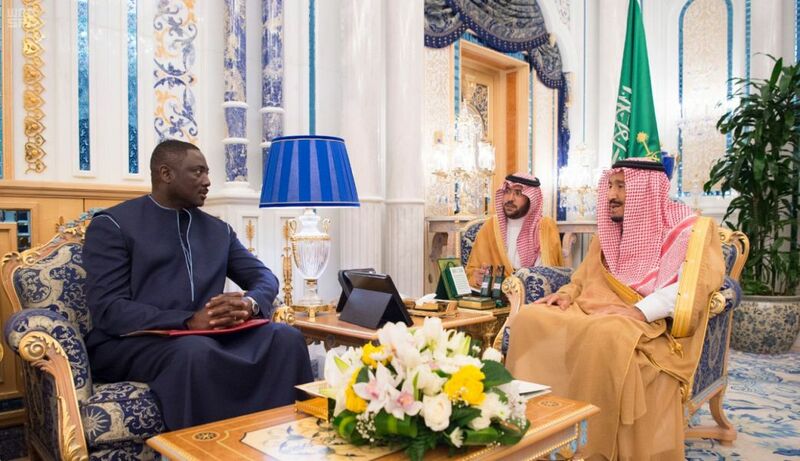 The message was conveyed to the King during his meeting with Gambian Minister of Foreign Affairs and Special Envoy of Gambian President Mamadou Tangara and his accompanying delegation at Al-Salam Palace in Jeddah today. The Minister conveyed the greetings of the Gambian President to the King, who for his part, sent his greetings to him. The audience was attended by Prince Abdulaziz bin Saud bin Naif bin Abdulaziz, Minister of Interior; Minister of State, Cabinet's Member, and Chief of the Royal Court Khalid bin Abdulrahman Al-Isa, Minister of Foreign Affairs Adel bin Ahmed Al-Jubeir, and Minister of State for African Affairs Ahmed bin Abdulaziz Qattan.